With more than 650 locations nationwide, Quick Lane® Tire and Auto Service Centers are here to make servicing your vehicle a breeze. We’re one of the 600-plus-Quick Lane® Tire & Auto Service Centers in the United States, providing convenient and expert service including oil change, filters, tires, brakes and more. To ensure you get the auto service your Ford needs to maintain its performance, all of our services are performed by factory-trained technicians that have years of combined experience. Our team is committed to only using quality parts and accessories from brands you know and trust, such as Motorcraft®, Goodyear, Continental Tire and Michelin-among others. To provide the best in customer service, we provide all of our drivers with a real-time view of their Ford vehicle. First, our factory-trained technicians will thoroughly inspect your vehicle from top-to-bottom to determine its heath. From there, we can provide you with a comprehensive Vehicle Check-Up Report that provides you with insight into your vehicles maintenance needs. After we review the report together and identify any questions you may have, we can remedy the situation with swift and fair service the first time. Whether your Ford is in need of an oil change, brake repair, battery test, tires, new belt, cooling system replacement or a transmission repair, we have the expertise and access to state-of-the-art equipment you need to feel confident in your Ford’s performance again. At our Quick Lane® Auto Repair and Service Center, we only use premium-quality Motorcraft® Synthetic Blend Oil when changing your oil, which provides excellent wear protection. If your battery requires attention, we only carry replacements that are manufactured with the highest-quality and are at a competitive price. For everything else, you can count on the knowledge and skill of our factory-trained technicians to get you back on the road with ease. Is your vehicle in need of new tires? Our team can assist with that too. With a healthy stock of tires from top brands-including Michelin, BF Goodrich, Goodyear, Hankook, Bridgestone, Yokohama, and more – we offer the name-brand tires your Ford needs for optimal performance. 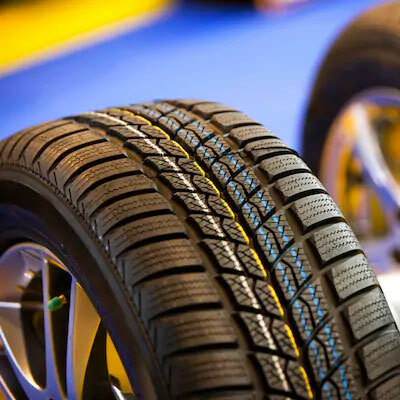 In addition to our wide selection of tires, we offer a number of services including tire inspection, tire rotation, new-tire installation, tire mounting and balancing, and more. Is your Ford in need of new tires, a seasonal change over, or annual inspection? See our factory-trained technicians today. Are you ready to see what our team can do for you? We have years of combined experience working on Ford vehicles just like yours and look forward to exceeding your expectations. Check for auto service coupons and specials for tires, brakes, oil change in Beavercreek, Ohio. We proudly serve surrounding areas such as Dayton, Fairborn, Miamisburg, Xenia, Springfield and Middletown, Ohio.